and will offer it directly to Jaguar and Land Rover dealerships as the factory diagnostic tool. Note: SDD V145 is packed in the CD and V148 is available to download by browsing the provided link. SDD V148 is much larger to download. Using integrated circuitry, the JLR VCI has a variety of functions including: reading and clearing Diagnostic Trouble Codes; running active and utility tests; data monitoring and reprogramming. Flash programming of Engine Control Modules (ECMs) on XJS and pre-2003 XJ and XK models (AJ16, AJ26, AJ27 engines). 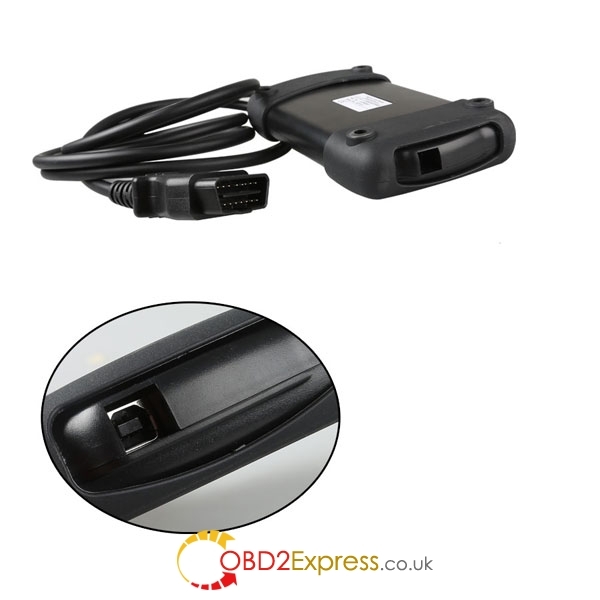 Plug the JLR VCI to the vehicles OBDII connector and connect it to the laptop via a USB cable. Once the J2534 DLL files are loaded, JLR VCI will allow you to operate JLR SDD. What does the JLR VCI do? 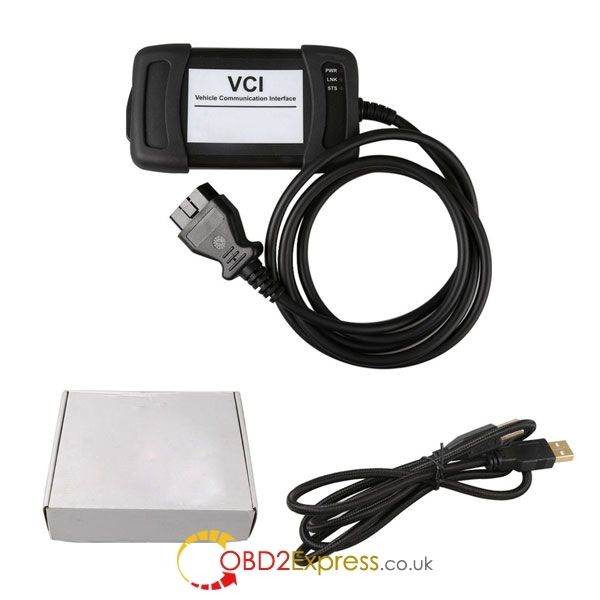 The JLR VCI connects directly to the vehicle OBDII (Diagnostic) connector, it then connects to the laptop via a USB cable for use with SDD. 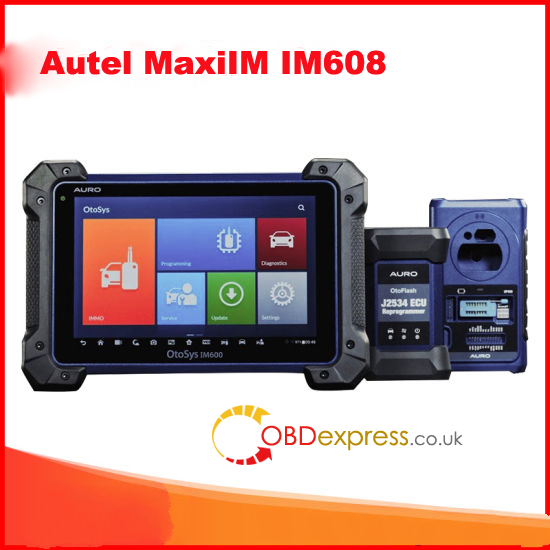 Once the J2534 DLL files are loaded, this product will allow normal operation with JLR SDD Diagnostic Tool. All communication is possible on with this device. How does the JLR VCI operate in J2534 Mode? The JLR VCI is simple and easy to use. JLR SDD DVD 145 or V148 is optional to install. Connect the J2534 device to the vehicle OBDII connector (the device powers from the vehicle). Connect the 2m USB cable to the JLR VCI and the other end to the SDD Laptop. The (PWR) LED will turn solid red to show the JLR VCI is powered. During communication with the vehicle the Status (STS) LED will flash green. How does the JLR VCI get updated for future Software Updates? Periodically JLR will release updates to its products’ drivers and software. These updates are necessary to either release further device functionality or to resolve field issues. 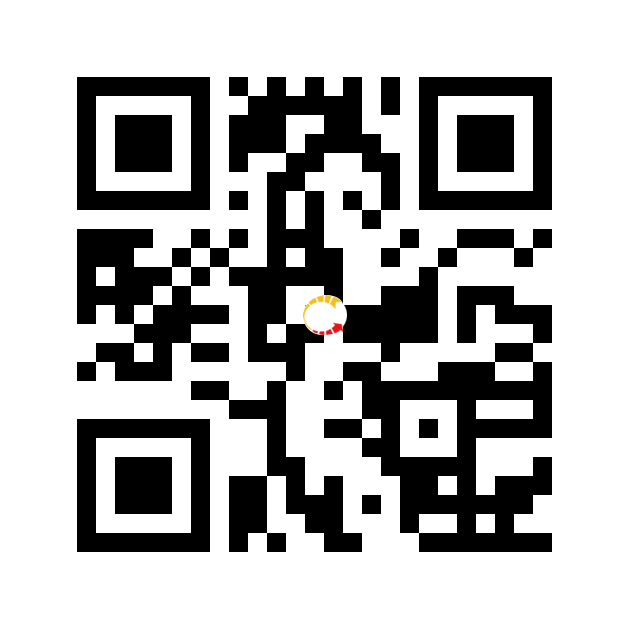 The updating of the drivers and software is handled by the diagnostic test application which will install the updates on request. If problems are experienced during device use, always make sure that the latest device software and drivers have been installed.